If you are a victim of medical malpractice, it is important to understand how and when to file a claim. The laws vary from one state to another, but there are several broad rules that apply in most situations. If you are thinking about filing a medical malpractice case, continue reading to discover some helpful tips and advice. The term “medical malpractice” refers to situations in which a health care provider fails to provide appropriate medical treatment or takes an appropriate action, or provides substandard care that results in injury, harm, or death to a patient. It normally involves some type of medical error in diagnosis, health management, prescription dosage, treatment, or aftercare. According to the Medal Malpractice Center, between 15,000 and 19,000 medical malpractice suits are filed against doctors in the United States annually. If a doctor fails to diagnose something that a more competent doctor would have discovered, the patient may have a viable claim. This is also true if a competent doctor would have reached a different diagnose that may have led to a better outcome for the patient. If a healthcare provider provides treatment that is different from the treatment a competent doctor would prescribe, the patient may have a viable claim. If the doctor prescribes the correct treatment but administers it incorrectly, it could also result in a viable malpractice claim. Nearly all treatments, medications, procedures, etc. have potential risks. It is a healthcare professional’s responsibility to make sure patients are aware of these risks prior to beginning treatment. This is referred to as the “duty of informed consent.” If a patient would not have gone through with the procedure, if they had been informed of the risk, the doctor may be liable for any harm that occurs as a direct result. When filing a medical malpractice claim, you must be able to prove that you had a relationship with the healthcare provider you are suing. This basically means that you need to be able to show that you hired a healthcare provider who agreed to be hired. In other words, you can’t sue a doctor for sharing bad medical advice if he or she wasn’t your doctor at the time when the information was shared. The Healthcare Provider Acted in a Negligent Manner. Being unhappy with your treatment or results does not necessarily mean that you have a case. In order to prove malpractice, you need to be able to prove that the doctor acted in a negligent manner in connection with your diagnosis, treatment, or aftercare. You must be able to show that you experienced harm that would not have been caused by a competent doctor under the exact same circumstances. You will likely need to have another medical professional discuss the correct standard of care and explain how the defendant failed to provide that standard during the course of your treatment. The Negligence Directly Resulted in Your Injury. Medical malpractice cases often involve patients who were already injured or sick. This leads to questions of whether negligence caused the harm or if it is completely related to a preexisting condition. If a cancer patient dies, for example, it can be extremely difficult to prove that death occurred as the result of negligence rather than the cancer. 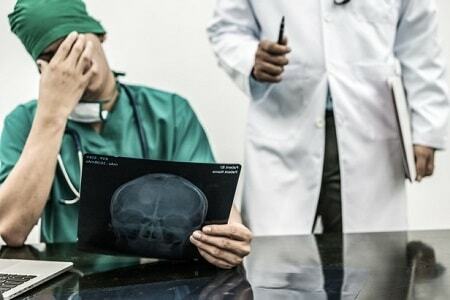 In a medical malpractice case, the patient or a representative must be able to prove that it is more likely than not that the doctor’s negligence or incompetence directly caused harm to the patient. This normally means needing to have a medical expert testify that the harm was directly caused by the healthcare provider and not a preexisting condition. The Injury Caused Specific Damages. Even if it is abundantly clear that the doctor or other healthcare provider did not provide the expected standard care, a patient can’t sue for malpractice if harm did not occur. When filing and defending a claim, you must be able to show that you are suffering from a specific type of harm, such as mental anguish, physical pain, lost work or lost earning capacity, or additional medical bills. You may need to have a medical expert testify or provide evidence showing that you are suffering from such things as the result of harm caused by a medical practitioner. Medical malpractice cases are often complex and, because the laws vary from state to state, knowing how to win a case isn’t always easy. In most states, you need to file the claim quickly. Some require claims to be filed within six months, while others allow up to two years. You may need to submit your claim to a malpractice review panel prior to filing a lawsuit. You may need to give the healthcare provider special notice that you are filing a claim. Expect to need testimony from experts. Medical malpractice is difficult to prove and having a medical professional (or professionals) on your side who can provide expert testimony is the best way to achieve a favorable outcome. Don’t try to take on a medical malpractice case on your own. Work with an attorney who is experienced with these cases in your state. The value of an experienced medical malpractice attorney is immeasurable and working with one is the best way to achieve a favorable outcome in your case.